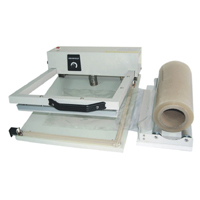 This portable 13"x13" l-bar sealer is ideal for sealing materials such as polypropylene, polyvinyl chloride, and polyethylene. The l-bar sealer maximizes production and saves time and energy by making 2 seals at once. 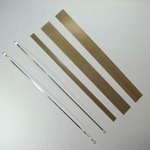 Its 13"x13" bars will seal and cut up to 0.025 mm thick film. This l-bar sealer is equipped with 500W power and a sealing time of 1~4 seconds. Included with this l-bar unit is a film dispenser rack. Film and heat gun are not included with this unit. Seal Length: 13" x 13"